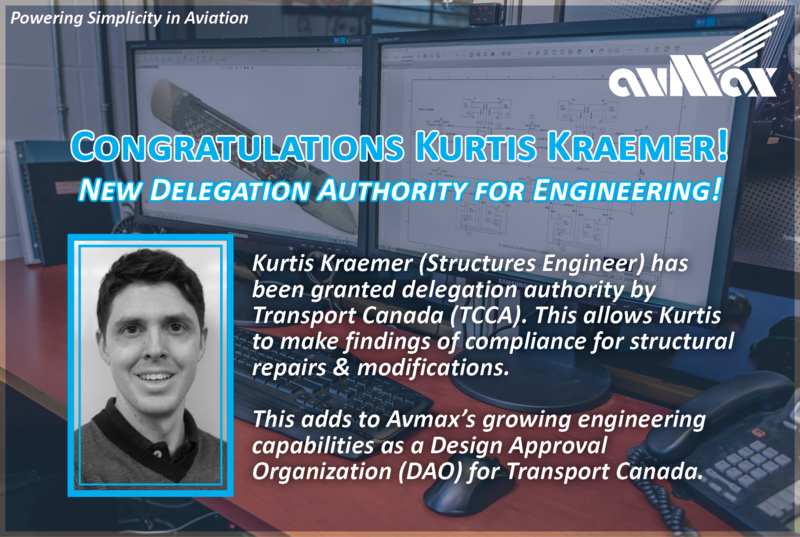 Kurtis Kraemer (Structures Engineer) has been granted delegation authority by Transport Canada (TCCA). This allows Kurtis to make findings of compliance for structural repairs & modifications. This adds to Avmax’s growing engineering capabilities as a Design Approval Organization (DAO) for Transport Canada.